Our new newsletter format is designed to properly fit your display whether you use a desktop, laptop, tablet, or smart phone. Any pictures shown as thumbnail images will display in their original size when you click the image. Larger Ads may be linked to the advertiser's website. We hope you will find this a convenient way to view our newsletters. Kristen Butler will be taking over as our new Newsletter Editor sometime this summer. Let me know how you like the new format. As the AIHA national organization celebrates its 75th anniversary we at the Georgia local section should also look back on our history as well and see how far we have come and focus our efforts in achieving great things in the years to come. We need to leverage on what was learned in our past and use those lessons to move us forward. A lot of innovation, leaps in technology and research, and progress has taken place since my inception into IH back in 1992. I am excited to see how we will look in another 25 years when we celebrate our bicentennial anniversary. We will be moving to Portland, Oregon sometime in May(! ), where Julian has accepted a position as executive director of the Rice NW Museum of Rocks and Minerals. His experience and skills are a great match for the challenges of this job, and the Pacific Northwest has always been one of our favorite parts of the country. So this was a fabulous opportunity to trade the heat, humidity, and kudzu for the Cascade mountains/volcanoes, the Columbia River Gorge, and perhaps the most beautiful coast in the US (and yes, lots of rain, but at least it stays in a vertical direction! ), all within an hour of new home! I’m looking forward to seeing lots of people at the Spring Meeting. I remember the first GLS meeting I attended right after I moved to Atlanta in 1995 and it’s been a wonderful experience serving our local section in various leadership roles. I’ll always especially treasure the many wonderful friendships made over the years, which I hope will continue via long-distance. I’m trying to wrap up my consulting projects here and will be keeping my consulting practice open in OR but from a practical standpoint, it makes more sense to look for a full-time position there vs starting from scratch, even tho’ that means returning to having someone other than myself to report to ;-) Actually, I’ve already got a couple of leads so am feeling really good about all that. Of course I plan to join the AIHA Pacific NW Local Section as soon as I get there, too. I’ve enjoyed some of the committee work I’ve done, but I really think that local sections are the heart and soul of AIHA. GLS is a great community and I’m very glad to have been a part of it for almost 19 years! I’ll really miss you guys and the group as a whole (I repeat: stay in touch!!). Thank you all for the fabulous work you do and for being the wonderful people you are! It’s been both an honor AND lots of fun to have worked with you all! Reason 1: The GLS uses a web-based membership management system called Wild Apricot. A major advantage is the online payment system. Although the system uses PayPal, you don't need a PayPal account to use your credit card. Reason 2: Paying through National AIHA causes delays for you and additional work for our Treasurer. When you pay through AIHA, our treasurer must manually renew your membership on our system after waiting for a monthly statement from National. Reason 3: Delaying your renewal until you attend a meeting may also cause problems. 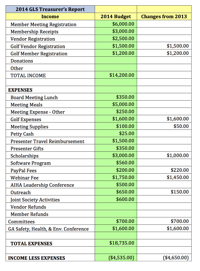 Renewing your membership at the winter meeting is normally not a problem. However, if you wait to renew until attending the April Vendors Day, the system will have automatically sent you a membership lapsed notice on April 1st and you will not be able to register early and receive your membership discount. Therefore, we encourage you to renew on time and online through our GLS website. Our Treasurer Don Metcalfe will be most grateful, as will I. If you forgot your login password just click the "Forgot" link and follow the prompts. Remember, your user ID is the email address that we used to send you this newsletter. 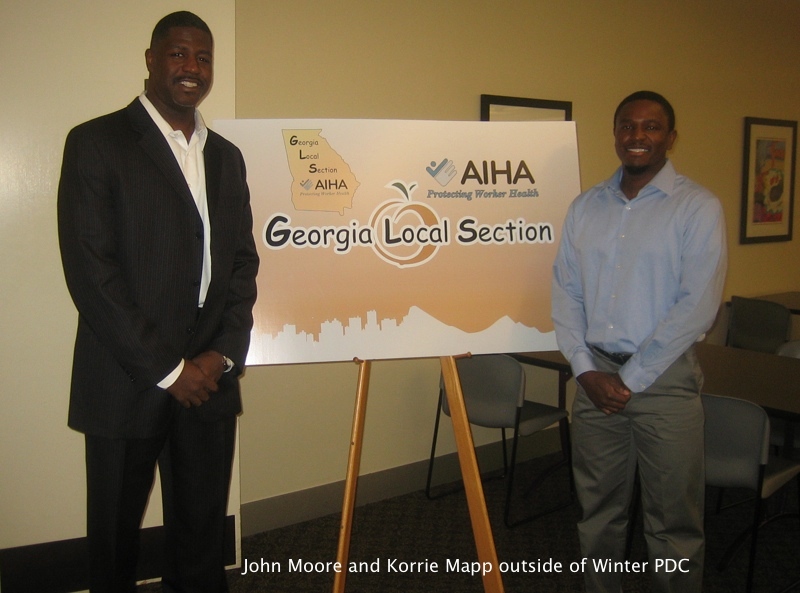 The two day AIHA GLS winter Professional Development Course (Jan. 15 & 16) covered a diverse array of topics including revolutionary ways of performing exposure assessments to innovative ergonomic case studies to process safety management within Southern Company, one of the largest electrical utilities in the U.S. While all attendees during the first day went home with free modeling software and a new approach on how to characterize potential exposure risks, several individuals went home on the second day with a very special gift; a brand new car! 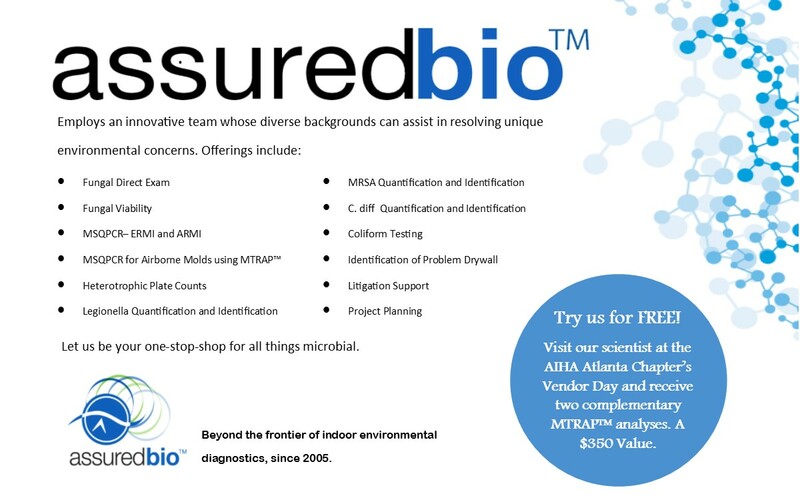 Most industrial hygienists know that significant time and effort are required to perform a statistically significant exposure assessment. 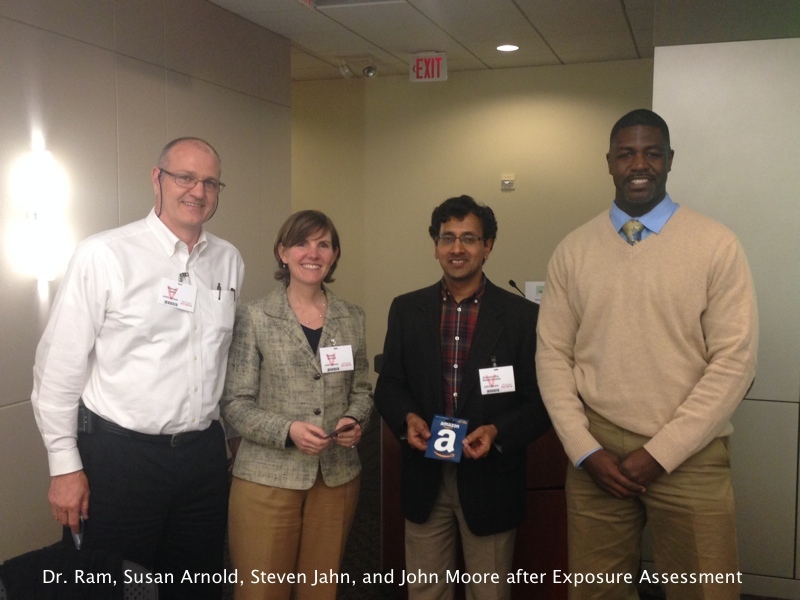 Susan Arnold and Dr. Gurumurthy Ramachandran of the University of Minnesota methodically went through a series of demonstrations to show that exposure assessments can be performed quicker and more efficiently using exposure modeling. Although our years of IH work help us acquire our “gut feelings”, an example early into the presentation showed that our gut feelings aren’t as accurate as we would like to believe and that simple modeling will greatly help estimate exposure levels. Mrs. Arnold’s model progression started with a simple checklist algorithms based upon the “Rule-of-10” (related to ventilation), saturated vapor concentration and vapor hazard ratio to quickly estimate if exposures would fall into the following classes: <10% OEL, 10-50% OEL, 50-100% OEL, >100% OEL. She then presented more refined model algorithms specific to various scenarios (e.g. well-mixed room with constant emission rate, near field/far field decreasing emission, etc.) using the "IH Mod" software. Although simple to use, she stated that these tools are to aid, not replace, professional judgment. Dr. Ramachandran talked about Bayesian statistics and demonstrated with IHDA-lite how the combinations of qualitative “gut feelings” and quantitative data can result in exposure assessments with higher levels of confidence. Korrie Mapp, Certified Professional Ergonomist and Founder of Organic Ergonomics, LLC, gave an ergonomics presentation covering the history of ergonomics, the legal requirements of ergonomics and how ergonomics applies in the real world, particularly with an aging workforce. Mr. Mapp used real world case studies in the fields of pipefitters, welders, painters and the automotive industry to illustrate how ergonomic interventions can help a worker population without significantly increasing overall company expenses. 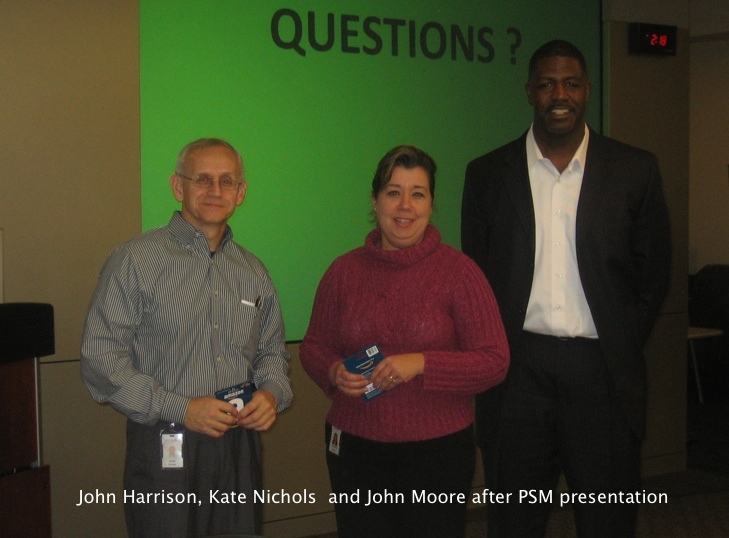 His energetic, interactive presentation style, along with rewards of Hot Wheel vehicles for attendees who answered questions correctly, kept the audience engaged. How long have you been with NIOSH? Since 1999, I started off in a 2-year fellowship in the Health Hazard Evaluation Program; in 2002 I joined the United States Public Health Service and have been with them for 12 years now. My current position is Associate Director for Emergency Preparedness and Response. In that role I serve as the focal point for any emergency-related activities for the Institute. 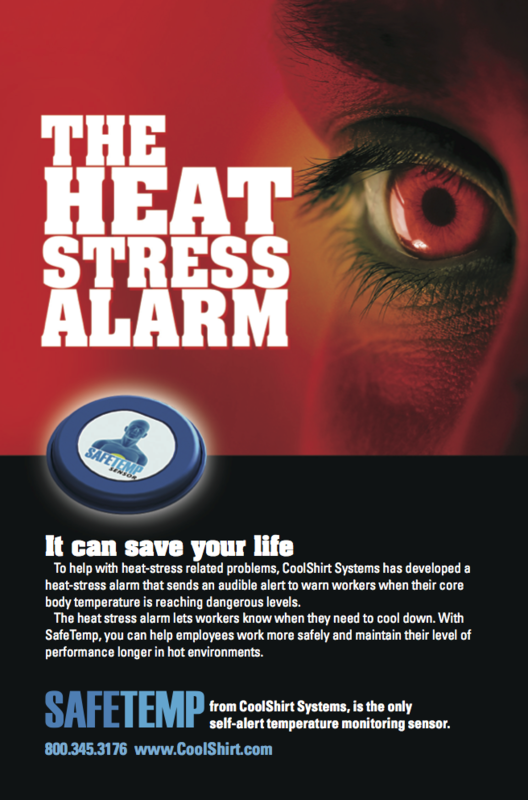 Our mission is to protect the health and safety of all emergency response workers. We accomplish our mission through the provision of technical assistance during emergencies, but also through development of plans and policies with partners before an event even occurs. 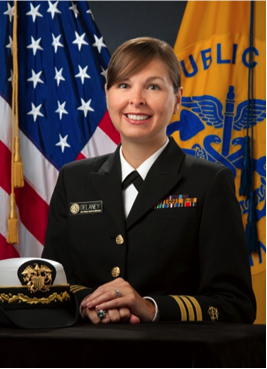 Here at CDC/NIOSH we get involved in a variety of events, I have been involved following the 9-11 attacks, anthrax letter attacks, and the H1N1 influenza pandemic. Most recently I have worked on the China H7N9 avian influenza outbreak response. What type of monitoring will be done in those situations? During large-scale emergencies, NIOSH has conducted health hazard evaluations (HHE) to evaluate responder exposure risk. We focus on unique or novel exposures that are less well understood. For example, in response to the anthrax letter mailings in 2001, we collected nearly 10,000 environmental samples to help understand the public health risk. NIOSH conducted a series of HHEs during the 2010 Deepwater Horizon oil spill. Those reports can be found on the NIOSH website at http://www.cdc.gov/niosh/topics/oilspillresponse/gulfspillhhe.html. Can you tell me about any new initiatives in your office? Based on our experiences with observing health problems in World Trade Center responders, NIOSH led the development of the Emergency Responder Health Monitoring and Surveillance (ERHMS) system. ERHMS is a health monitoring and surveillance framework that includes recommendations and tools specific to protect emergency responders during all phases of a response, including pre-deployment, deployment, and post-deployment phases. Additional information can be found at our website including online trainings http://www.cdc.gov/niosh/topics/erhms/ and http://www.cdc.gov/niosh/topics/emres/. I am also co-leading the recently announced NIOSH Disaster Science Research Initiative (DSRI) designed to Enhance Responder Safety and Health http://www.cdc.gov/niosh/disasterscience/. The Initiative will concentrate on developing an approach to timely, scalable, scientifically sound responder-based research that can feasibly be implemented before, during, and after a large-scale disaster. NIOSH is inviting partner participation in the Disaster Science Research Initiative by all those interested in ensuring the safety and health of responders before, during, and after a disaster me if you are interested in participating, please contact me at lkd2@cdc.gov. How did you get into the IH field? I stumbled into IH like a lot us do. I attended Centre College in Kentucky and was a biology and Spanish double major. I originally wanted to go to medical school but decided I didn’t want all the stress, so I needed to figure out what to do with my science degree. I researched science-based graduate programs and discovered the Toxicology program at the University of Cincinnati (UC)- Go Bearcats! Then I learned about UC’s IH program and thought it was a better fit for me. I saw firsthand the impacts unsafe workplaces had on families while growing up. My grandmother was an occupational health nurse at a steel mill in the small town and I remember her sharing stories of treating injured workers. The practice of industrial hygiene and making workplaces safer really resonated with me. The rest is history as they say. Outside of work, what balances you out? I’m not sure I have perfected the balancing act but I do feel fortunate to work for an organization that is supportive of my attempts. I’ve been happily married to a fellow industrial hygienist, Chris Collins, for 13 years and we have two young sons- Jackson (9) and Declan (6). Between sports and cub scouts, we don’t have a lot of free time but we carve out time for fitness and travel. I completed my first 5K last summer and we just planned a summer trip to Sonoma. Lisa was a former Director of the GA Local Section 2004-2006. She enjoyed this position and recommends it for anyone looking to ease into the GLS Board, as it is a great way to get involved and learn at the same time. Lisa is a Certified Industrial Hygienist and has been involved with the local section since 2002. In the time that I have known her she has been a rising star in the IH field with a great innovative mind, and personal way of relating to a diverse workforce. It has been a pleasure to know her as a friend and great colleague. Georgia Local Section Region Representative (GLS RR) Committee: Members of this committee will work with the GLS Board to identify ways for GLS to connect and provide support to our members not located in the Atlanta metro area who sometimes find it difficult to attend metro area meetings. Typically, these representatives will serve areas outside of metro Atlanta to provide a point of contact for GLS members living in their respective regions within the State of Georgia. The GLS RR committee members will be non-voting members of the GLS Board and will serve at the discretion of the GLS President as approved by the GLS Board. The GLS RR will be empowered to facilitate meetings on behalf of the GLS members in their assigned region; they will occasional attend GLS Board meetings and other events to share the view points from GLS members living in their region. Current Regions include the Augusta, Savannah, Columbus, and South Georgia areas). The GLS Board will take Suggestions (i.e. meetings, funding, webinars, field trips, etc.) made by GLS RRs into consideration. Mentoring Committee: This committee has been tasked to help the GLS Board successfully implement and maintain a formal mentoring program. The Chair of the Mentoring Committee shall be appointed by the President and will serve as a non-voting member of the GLS Board. The Chair of this committee will be encouraged to share view points of the other Mentoring Committee members at Board meetings or other GLS events. The Mentoring Committee Chair and the GLS President will approve mentoring activities. GLS members using the format established by the National AIHA will facilitate these activities. The mentor and mentee connection will be supported by GLS and incorporated into GLS goals. Social/Volunteer Committee: Members of this committee will officially participate in social and volunteering activities on behalf of the GLS. Events can include but are not limited to career fairs and events, science fairs, school functions and related activities. The GLS President shall appoint the Chair of this committee to attend Board meetings, as a non-voting member, to share viewpoints from the other Mentoring Committee members and to share mentoring ideas during other GLS events. The Chair of this committee will act as the facilitator and organizer for the social and volunteering events. For those GLS members that have previously attended the Georgia Safety, Health, and Environmental Conference, many changes occurred after the 2013 Conference, marking the last year, in a 20 year history, the State of Georgia would formally organize and operate this public-private conference. Since Jimmy Mize, long time organizer of the conference, retired in 2012, the State decided not to continue the event past 2013, due to funding restraints and the fact that “it was not required by state law.” So, a small group of passionate volunteer Board members decided to privatize the conference. In the Fall of 2013, Georgia Conference, Inc. (a Georgia non-profit corporation) was created to operate the annual conference. 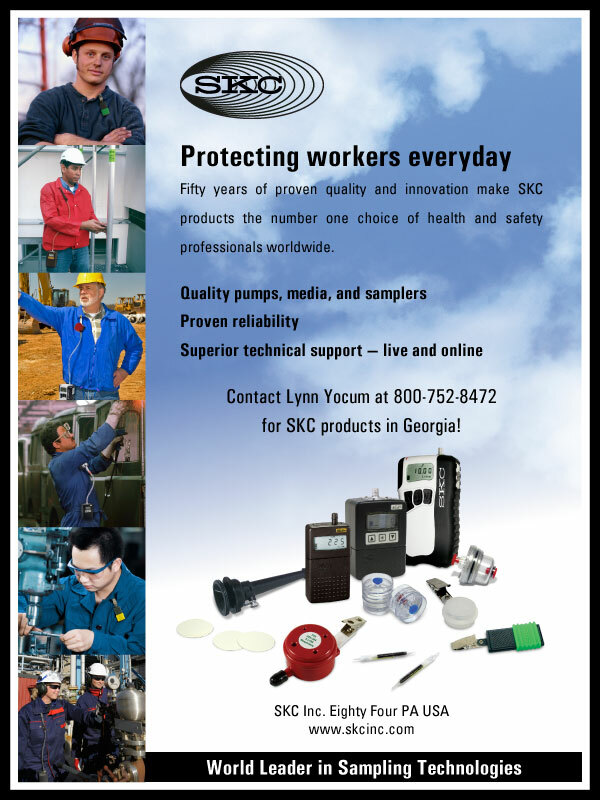 This conference is important to all Georgia safety, health and environmental professionals as well as our human resources members. For those members maintaining credentials, the conference sessions will consist of approximately 10-12 contact hours and the pre-conference workshop will be 8 contact hours. Now, as a privatized conference, we are hoping to maintain our initiative and improve this event for many years to come. We need the support of everyone to make this event successful. I encourage those interested in the conference to join our members list at www.georgiaconference.org, which will provide updates and access to certain conference resources. If you are interested in being a speaker, exhibitor, and/or sponsor, please refer to those sections of the website. If you are interested in attending, the 2014 conference will be held at the Savannah Marriott Riverfront on October 8-10, with pre-conference workshops on October 7. Registration should be available sometime mid to late February. I look forward to seeing you at the conference. We wish to thank our vendors and sponsors for 2014–15. Please visit their Websites by clicking the logos shown below.